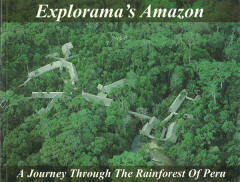 Explorama Tours is the oldest and best-established ecotourism company in the Peruvian Amazon. Since their start in 1964, Explorama has hosted tens of thousands of visitors at their series of lodges along the Amazon and Napo Rivers. Many people are permanently changed by their personal exposure to one of the most fragile and spectacular ecosystems on Earth. The desire to bring a part of this experience back to family, friends, and students has been expressed by many of Explorama's guests. This book finally allows them to do just that. 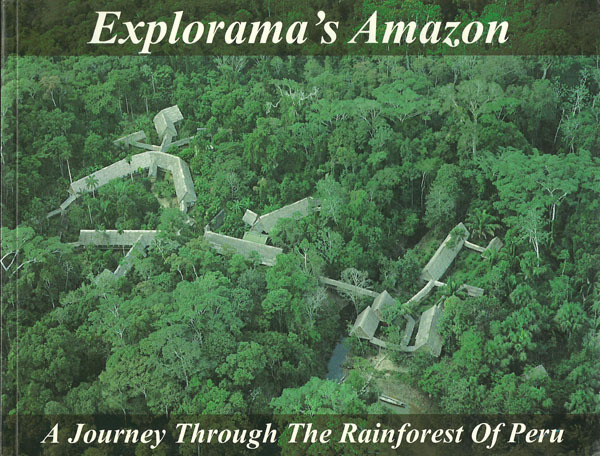 Dr. James L. Castner, researcher and photographer, has combined his expertise and knowledge obtained from more than 50 trips to the rainforest and Explorama Tours facilities to write and illustrate Explorama's Amazon. Information about the forest, its flora and fauna, the local and indigenous peoples, and the facilities themselves are presented in an easy-to-read manner. In addition, historical information about the city of Iquitos and the origins of Explorama Tours is provided. More than 160 color photos grace the large-format pages of what many readers will consider a coffee-table book. Many of the illustrations could only be obtained under special circumstances and with elaborate equipment, such as aerial photos of the lodges and canopy walkway, as well as close-ups of plants and insects. By documenting the excursions and answering the questions most frequently asked by Explorama visitors, Dr. Castner has freed guests from note-taking and picture-making to enjoy their surroundings and experience more fully. 100 pages. 1 map. 6 x 9 inches. Perfect-bound (softcover).